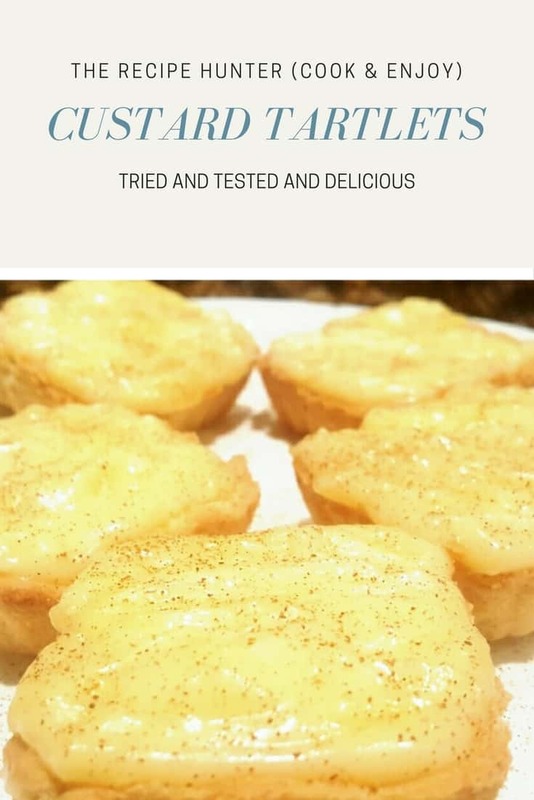 Custard tarts or flans pâtissier, a pastry consisting of an outer pastry crust filled with egg custard and baked. Cream butter and castor sugar. Add egg. Beat well and add dry ingredients. Roll out pastry between the plastic sheet and line out tartlets molds. Bake on 180C for 12 minutes or until golden brown. In a medium saucepan, combine sugar, cornstarch, and salt. Whisk in the half-and-half and then cook over medium heat until mixture is thickened and bubbly. Remembering to stir frequently so that it doesn’t stick or scorch. Remove from heat, add butter, brown sugar and vanilla and stir until butter is melted. 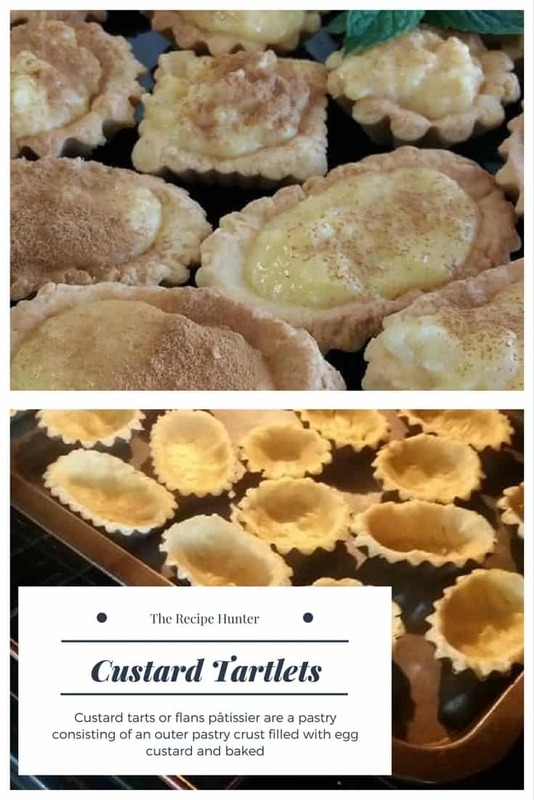 Pour into baked tartlet shell and sprinkle with cinnamon.